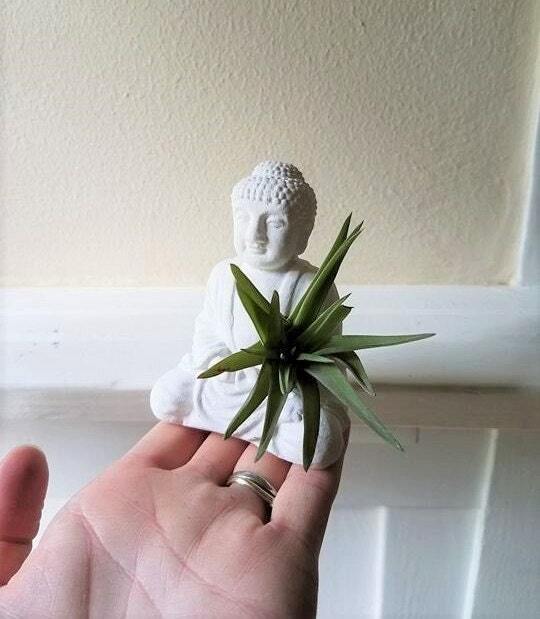 or as an air plant holder ( comes with plant)... see options. 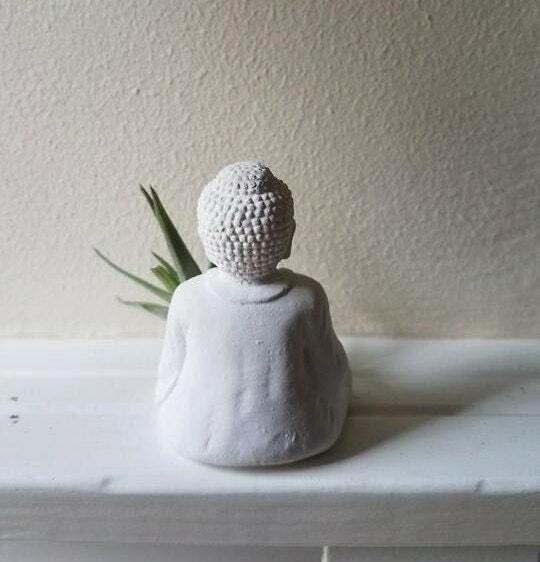 Shown here in matte white and my faux stone finish, grey. Love it! Bought it for a co-worker for her birthday! Now I want one! So cute and petite. 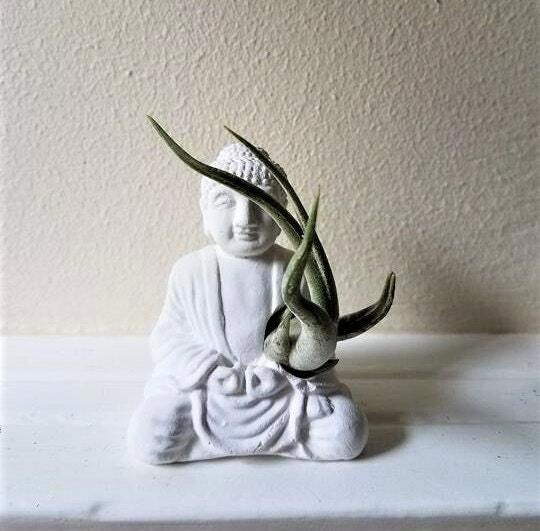 Nice air plant too. Highly recommend. Thanks! 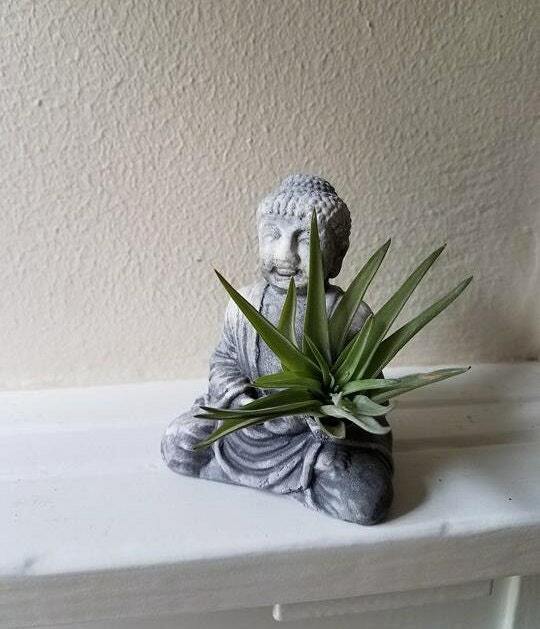 Buddha is the perfect addition to my plant nook! 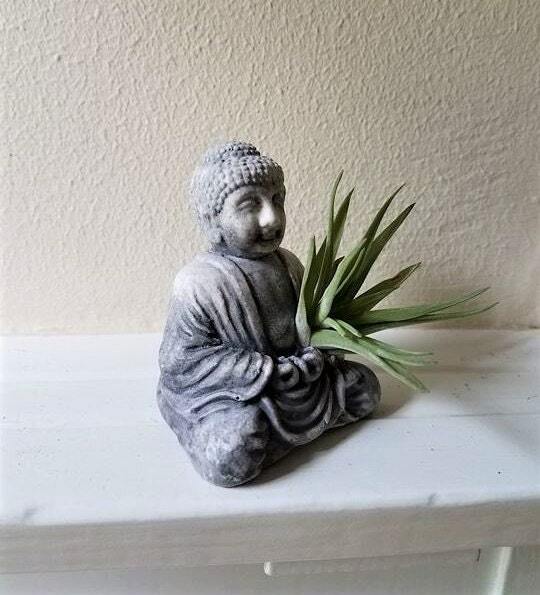 I purchased the matte white with airplant- and it is exactly what I ordered. Received timely.